Scaffold Towers: Everything you need to know! Posted April 11, 2016 by Paul Swain & filed under Information and Tools, Products, Tips and Guides, Uncategorized. Millions of workers within the UK are working at height, in which a quality scaffold tower is needed instead of a basic ladder as it is a much safer alternative. At Mad4tools we understand the sheer importance of using a scaffold tower, so we are going to share our information with you for you to understand when and why they are needed. One of the biggest causes of injuries in the workplace are falls from height. You are deemed to work at height if there are not any precautions in place which could result in injury, such as falling through fragile surfaces. It is essential that you assess the job in hand and area around you before you begin working at height to avoid any injuries. Why do you need a scaffold tower? 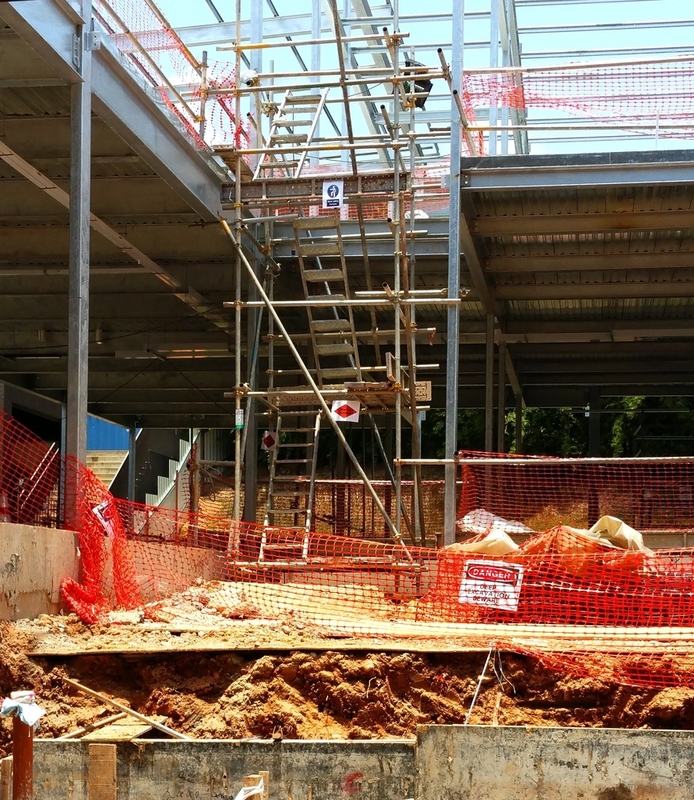 In order to prevent height related injuries in the workplace, scaffold towers can be used. However, it is essential that they are erected and dismantled by staff who have been fully trained in doing so. Obviously, the main benefit of using a scaffold tower is safety. They are extremely stable and can give workers more ease of movement whilst at height. Our scaffold towers conform to all industry standards whether you are using it for home & DIY use or within the construction industry. We also supply replacement components for scaffold towers in order to keep your existing one in use. Mad4Tools have entry level towers on offer which are well suited for home use which are available at discount prices. 125mm diameter height adjustable dual-locking wheels. The platform can be set at increments of 25cm. The tower is climbed internally. Strong 40mm diameter vertical/horizontal welded frames. The full range of industrial scaffold towers have been created to coincide with all working heights. Its new AGR (Advanced Guardrail) system has been approved by PASMA with the 3T method.